The first Lonely Planet guide that I bought for Myanmar talked about the moral dilemma of visiting countries where freedom has been curtailed and where locals are unfairly imprisoned for criticizing the government. It was the summer of 2012, just a few months after Myanmar had decided to finally open its doors to tourism. As I was waiting for my turn to submit my visa application at the embassy in Singapore it was already clear that I would find no tourists. The embassy was outdoors, with a tiny office attending to locals and foreigners. You would submit your application in the morning and, very efficiently, they would have it ready for collection the next afternoon. The same gentleman receiving your paperwork in the morning was the one delivering you the stamped passport in the afternoon. Less than 3 years later, e-visa is available to 100 nationalities making it extremely easy to visit. I went to Yangon the first few times to attend conferences and meetings related to the country’s opening to the outside world. In my case, the discussion was centered around the awarding of new telecom licenses. The first few brave enough to venture into a country so closed to the outside world and from which there was so little information were the natural resources companies of which Myanmar had a lot. There was talk of development and openness to business and a general air of skepticism mixed with caution. 30 months after those talks I saw a very different Yangon, at least on the small details that show that a country has opened its doors to progress yet is battling the teething problems of waking up to 50 years of development all at once. In my first 3 visits to Yangon in the space of 4 months I saw dramatic changes in the visa process. From the one-man-show to a 2 men duet and to the well-oiled e-visa machinery. On the ground the changes were invisible, if any. 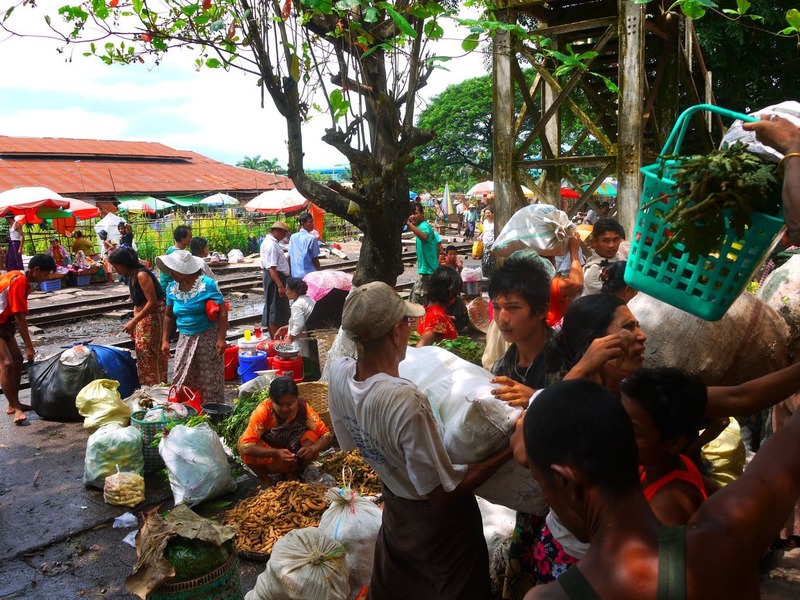 So, what had changed in 2015 for Yangon? 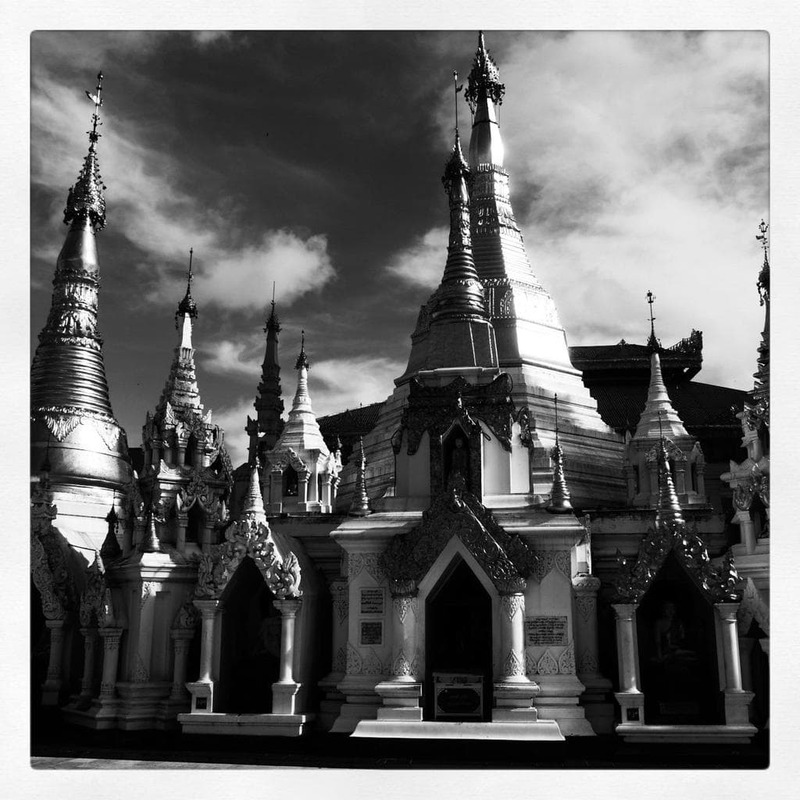 Aside from all the obvious changes, I experienced a whole new Yangon. There was an air of hope and progress I did not feel in those first visits. 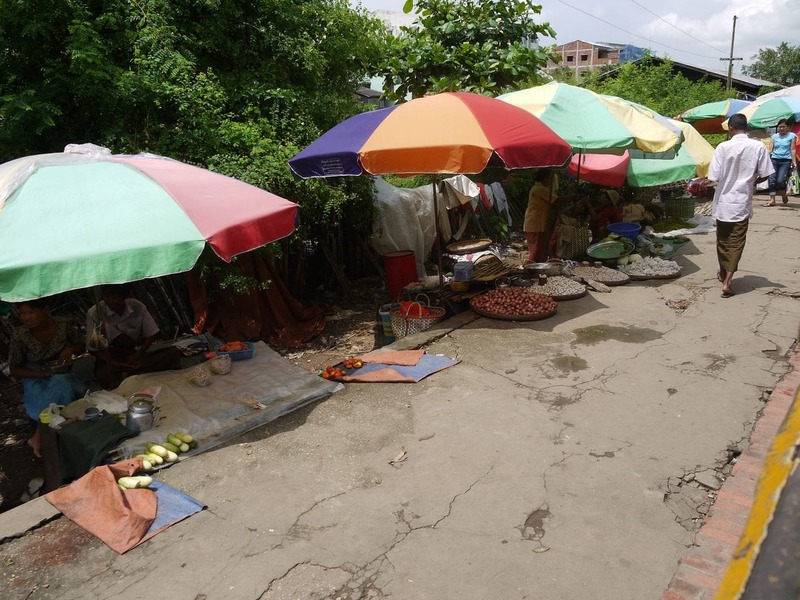 The Yangon of 2012 was sleepy and hopeless, lacking any pride or willingness to get better. People were going about their own business without an understanding of how their lives could be. Information from the outside world trickled in and ignorance was indeed bliss. Tourists were passing ghosts, reflections of a world they had no access to. There was resignation on everyone’s eyes. With the obvious language barrier and the genuine hospitality of the people I enjoyed evening meals sitting on tiny plastic chairs by the side of the road unsure as to what I was eating. One day I read an article on the Straits Times, Singapore’s largest newspaper, talking about the levels of contamination and lack of safety in Yangon’s street eats. Someone had taken samples of various stalls and brought them for examination to the horror of most. I ate street snacks and meals for most of my trip, unable to contain my curiosity for local foods, and had no problem. But then again, I’ve always believed that my stomach has developed resistance to anything after so many years in Africa. What I most appreciated about that now lost Yangon was the lack of touts, the complete disconnection between tourists and dollars, a connection so common in all other Southeast Asian countries. Nobody would try to sell me anything, they would not try to charge 10x the local’s price and nobody would follow me around calling me in English trying to get my attention. I could fully enjoy being a ghost, the anonymity of a place you don’t belong to. I longed for finding such a place in overcrowded Asia. The Yangon of 2012 did not get offended by a tourist walking around the pagoda anti-clockwise and paid no attention to the same tourist boarding the circular train on a Saturday morning. I was invisible, a decorative figure they paid no attention to. There was no show put up for the tourist, no representation of a life gone by, the true Myanmar was evident to me through the eyes of daily life in the business capital. The Yangon of 2015 had come a long way in such short time. I was wondering what changes I would spot when I visited in April of 2015 and I noticed the most obvious plus some other less perceptible. The most visible improvement was that which related to my reason for traveling in the first place: mobile data and internet. Talk of mobile phones was inexistent in 2012 and SIM cards could fetch $2,000. Barely anybody had a phone and the internet had not yet arrived. Speeds were so low most services would have been impossible. There was no roaming and no wifi. 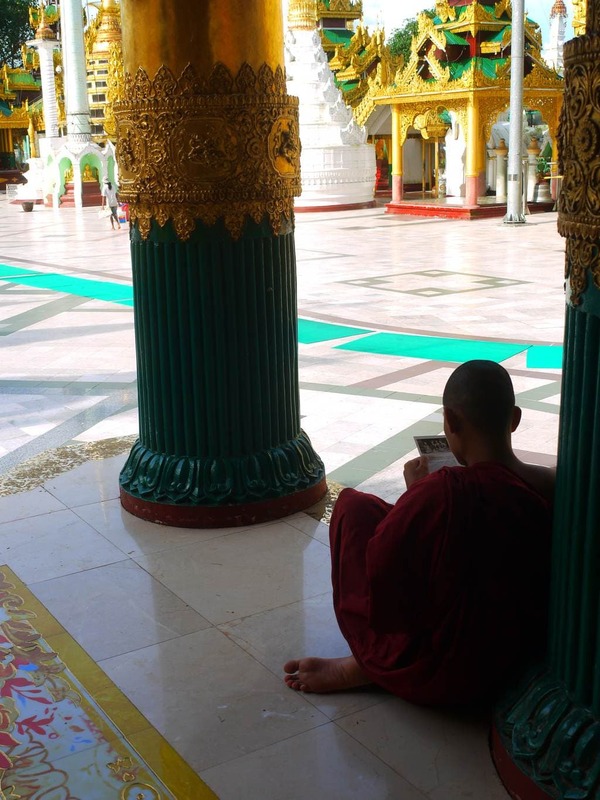 Arriving in Myanmar meant disconnecting from the world. How things had changed by 2015. I landed in Yangon’s shinny airport, the most efficient in Southeast Asia I must admit, and immediately asked for a local SIM to which my driver had an almost rehearsed answer. He gave even me an assessment of the pro/cons of each of the operators. I was surprised, although I knew the two licensees that eventually got awarded the licenses had launched long ago, some friends of mine were part of the launch office. I saw mobile phones reach the masses in several African countries from 2006 to 2010. The famous photos of Kenya’s Masai Mara holding mobile phones were a daily sight when I was in Nairobi, I was part of the revolution advising operators across the continent on how best to bring phones to everyone. We dropped prices, we made SIMs more accessible, both financial and physically, and we launched large communication campaigns. I saw the revolution hit the most remote parts of the African savannah and I also saw the potential to create progress and development. For every 10% increase in mobile penetration there was an expected 1% improvement in GDP some studies claimed. I was very curious to see what it would do to Myanmar and I saw it with my own eyes. Teenagers were listening to music on their phones and tablets, earplugs hanging from their heads. People playing with tablets while having dinner on the same tiny plastic chairs I sat down on in 2012. There was loud talk on mobile phones, the first behavior spotted on someone who holds that first phone. I saw places offering WiFi and the omnipresent “Top-up Here” signs on the street stalls and shops for the largely pre-paid market. Progress had finally arrived in Yangon. My SIM card cost only $1 and for $15 I had the SIM plus $7 calling credit and 2GB of data. My ability to pass as a ghost had partially vanished by 2015. I could still walk the streets safely and independently, following a paper map and wandering around. When I saw one of the betel nut sellers I stopped to observe his skill and, much like in 2012, nobody seemed to care, as if I was not there. However, touts and shameless kids started to appear out of nowhere. Two kids followed me shouting words in English; a man tried to sell me currency; Taxis flashed me with their lights, honked and slowed down when passing my side. This was unthinkable in 2012. I was still largely invisible but a group of savvy early adopters had already started to exploit the advantages of tourism. Truth be told, I saw far fewer tourists in Yangon than I had anticipated. Scared that the place would now be overrun I had mentally prepared for the worst but I was happy to see that it had actually changed very little. The touting was still minimal but it was starting to be noticeable from its completely inexistent levels. The manual visa process back in 2012 was not the only element which made travel to Myanmar in 2012 difficult. Back then, as a result of the embargo that had been partially lifted in 2012, ATMs did not work and credit cards were not accepted. The two major hotels were able to process manual payments on credit card but other than that plastic was pretty mush useless. Today, you can withdraw cash from various ATMs and pay with credit card at several places. Such a small improvement could have a huge impact in tourism. It meant that you could buy flight tickets on the spot, pay for hotel bills and generally not have to carry around large stacks of money. More importantly, you didn’t have to plan the entire trip in advance afraid that you would run out of money. Being familiar with other embargo countries like Sudan where all these restrictions apply I knew that it is an incredible hassle to have to carry around such sums of cash. But these were not the only improvements in just three years from 2012 to 2015. Some of the local airlines already offered online bookings including Myanmar Air who flies to some international destinations like Singapore or Bangkok. You no longer needed to use a local travel agent to book flights to Bagan or Mandalay and could do so online although the process was still rather manual for most of the airlines. I also noticed a major improvement in the fleet of taxis. The rattled and decrepit taxis that flooded the streets back then seemed to have been replaced by new models that emitted less toxic gases. Back then, walking around the city was also a health hazard with such high levels of pollution and you would have to constantly wash yourself. But with more cars, traffic jams also arrived, something which was unheard of in 2012. Last but certainly not least, was the hospitality industry. 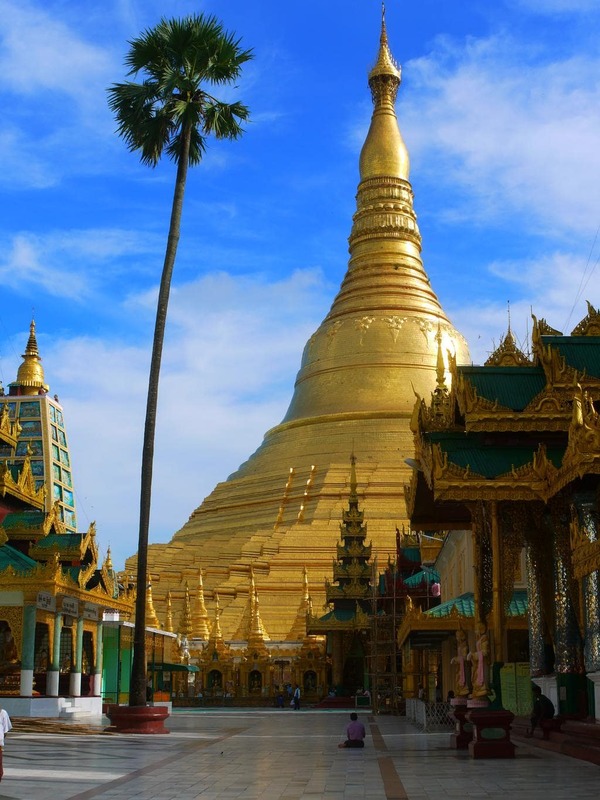 You can trust hoteliers to spot the next up and coming destinations before anybody does and already back then, in 2012, every visit to Yangon showed me a new hotel opening or refurbishing. 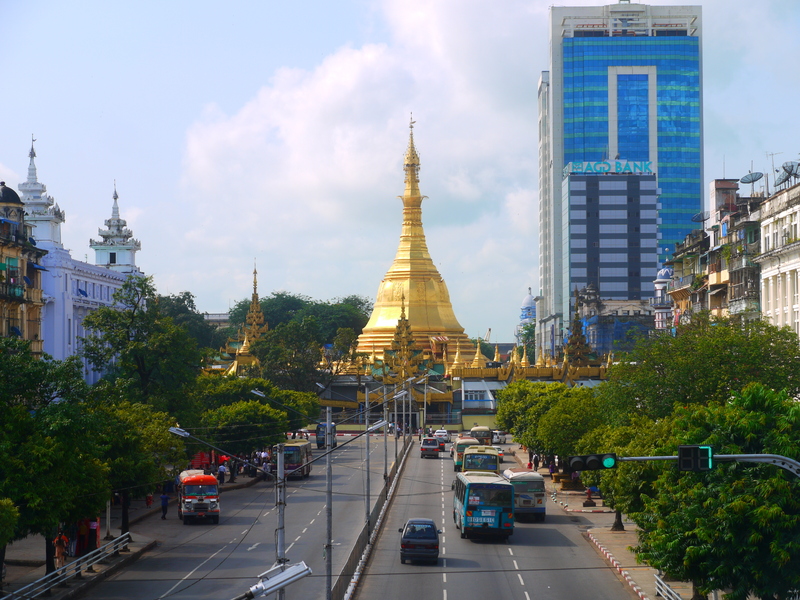 Much like the visa process improved every time, Yangon’s accommodation options also multiplied. At first, few of the international chains started buying properties and some other embarked on refurbishing efforts. Today, I saw an incredible range of options. The long standing Traders Hotel, the only decent option for business travelers who did not want to break the bank at the Strand or the Governor’s House, had been rebranded to a luxury Shangri-la and now offers top-notch service at the level of international hotels. The friendly concierge even gave me recommendations and a map with all the main sights and places to eat marked. A deli offering cheese and other delicatessen had opened and there were even Japanese sushi restaurants. 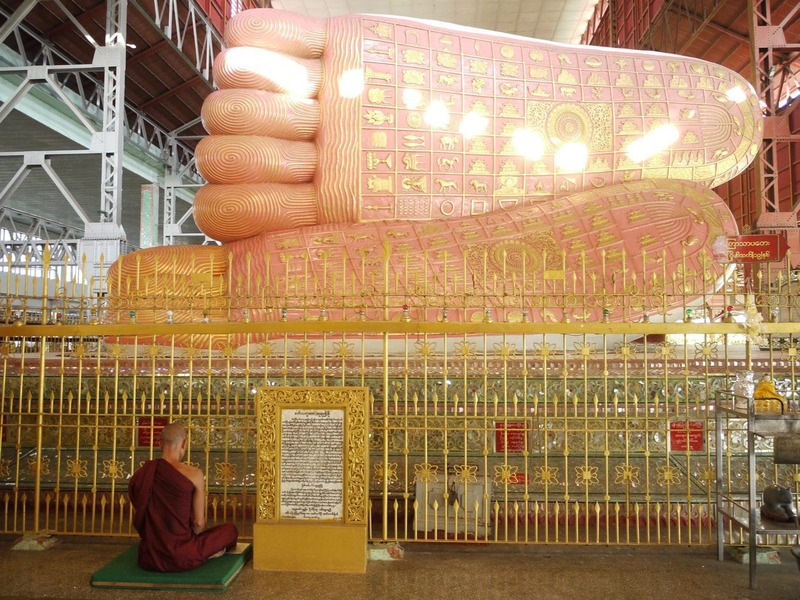 Yangon was slowly reading itself to handle tourism at scale. In 2017, as re-visit Yangon as part of a Press Trip with Accor Hotels, Tiger Air and Asia Holidays, I see even ore dramatic changes. To the obvious mentions above I noted a shinny air conditioned shopping mall with high-end brands like Rolex or Coach right in front of the traditional handicraft market. The traffic increase of 2015 has now turned into horrific traffic jams of the scale of other Southeast Asian cities like Jakarta or Manila. Tourists abound and other new destinations like Inle Lake have climbed the ranks to the top of the league next to Bagan. Internet and data cards are available and the connection is as good as anywhere in Thailand. Tourism is in full swing and the sparkling new airport is as clean and airy as it is efficient. The people are as friendly as they were before and the taxis still don’t have AC, but the country is no longer the sleepy nation it once was. 2012 is firmly behind. Although I could identify plenty of subtle improvements in the city, and dramatic ones in 2017, Yangon remains a peaceful and remote city. At night, the streets are dark, public lighting still missing, and the same dogs quietly resting by the side of the road. Aside from Shwedagon Pagoda’s golden hue illuminating the city and some of the new towers, little else is lit. The roads are potholed, with large amounts of leaves accumulating by the side of the road like Autumn in Europe. I occasionally smell the flowers. Jasmine growing on someone’s garden. It is only 7pm but the streets are empty. Days still start at 6am and end with the sun. I find my way around the city following a simple map and using a torch to avoid tripping over the overgrown roots of the trees that line the streets. I can still sit by the side of the road on a tiny plastic stool in baby blue color and enjoy a quiet dish of noodles or rice or a glass of sugar cane juice. The locals continue to be oblivious to the fact that I come from a different place. We talk in gestures, they smile at me all the time and I have a wonderful meal feeling like an alien. Like Bernard Shaw, I “dislike feeling at home when I am abroad“. Yangon, you have changed and grown up, but you are still magical, whimsical and full of light. May the future be bright.